The Golden Ones of Kaenolir sing their Warrior Song to keep Maelorn, an evil prince, entombed in Mt. Sinnarock. For five hundred years he has lain seething with hatred, cursing the gods who imprisoned him, lusting for power, and waiting to be free of the stone. But now, only Andrew Goldenhorn remains to sing the magical song that keeps Maelorn locked in his tomb within the fiery volcano. But his one voice is not enoughaMaelorn bursts free to lay siege to Kaenolir and claim it for his own. Alexander Lamond, Captain of the Kaenolirian Guardians, struggles to find a way to halt the brutish army of Spriggans and Ghillies that Maelorn leads. Not knowing where else to turn, he enlists the aid of Talanor, an old mage. Talanor believes that Kailie Fairchild, the daughter of the Goldenhorn, is touched with the magic of the Golden Ones. 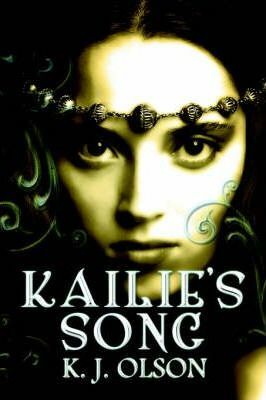 Kailie must be found, for it is her song, the Last Song created by the Faerie, that may bring an end to Maelornas threat.